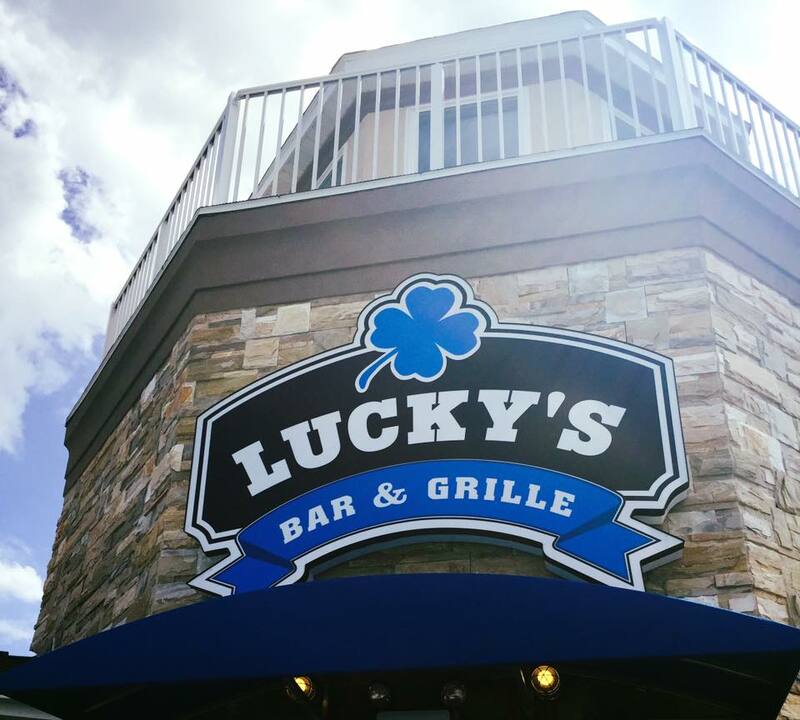 Lucky’s Bar & Grille is open on Lake Wisconsin!! We will still offer a sports atmosphere but with a supper club twist. Enjoy the best view on the lake! Lucky’s On the Lake became the third location for Lucky’s upon the closing of the previous occupant, Anchors Away. Given the great potential of the scenic view and the additional space offered by the vacant bait shop nearby, the site was right for a new local dining favorite. A lighthouse-theme proposed by our architect transformed the inside space to create a cozy and relaxing dining experience, further enhanced by the beautiful scenery outside. Easily accessible by both boats and vehicles and offering the convenience of a motel on site, Lucky’s On the Lake is the perfect spot to enjoy a delicious meal with friends and family. 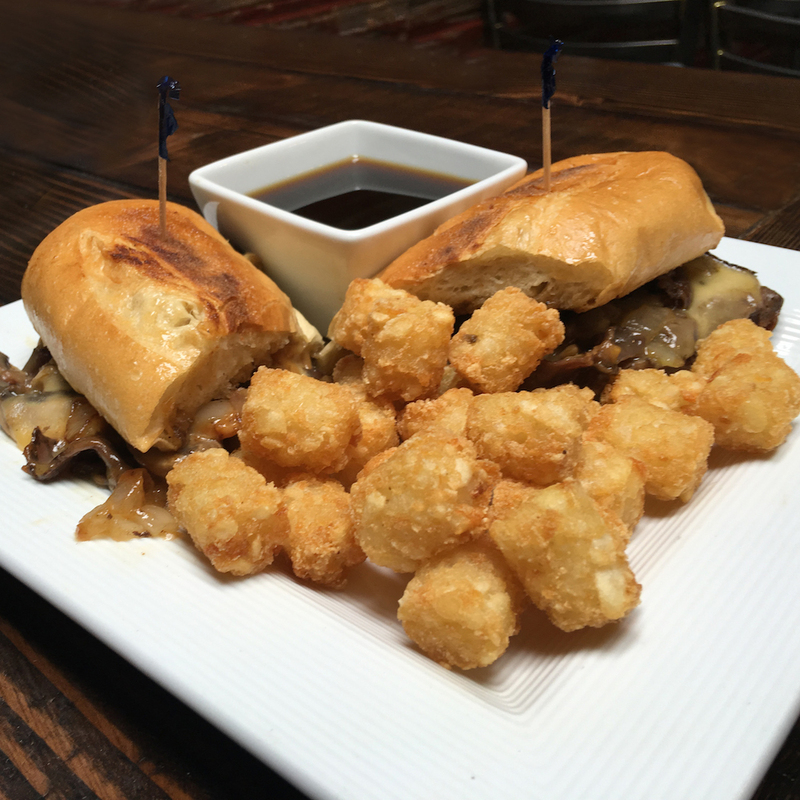 Lucky’s On the Lake offers a mouth-watering menu with an impressive variety and a contemporary flare. From our signature burgers, sandwiches and entrees to our pizzas, progressive salads, and incredible appetizer, we’ll satisfy any craving with proven dishes that are both time-honored and trendy. And the beautiful scenery is equally inviting — perfect for date nights, celebrations or just a family break from cooking at home. Sit back and take in the view while dining on the patio overlooking the lake, enjoy appetizers at the tiki bar below, or relax in our cozy dining room or bar areas. We go to Lucky’s On the Lake about several times a year. The food is always great, and the staff is friendly and personable. We also enjoy the great view of the lake and the music on the weekends. This place is a hands-down favorite of ours that we would recommend to anyone! Beautiful place, friendly staff, and the DJ for bike night is super legit, he plays a great variety for all ages. I’ll def be back on Thursdays! Love Lucky’s on the Lake with its great food and pleasant atmosphere! Saturday night Prime Rib with a side of crab legs – what a deal! We’ve also visited on holidays and WOW does it have a beautiful buffet. We’re local yokels and we have found our spot in Okee – we will definitely be back! Gift cards are now available in any denomination and make great gifts for students and sports fans! Our gift cards do not have an expiration date so use them right away or at your convenience. 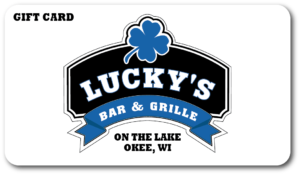 You can either stop in and purchase a gift card or call Lucky’s at (608) 592-5825 and you can purchase a card over the phone with a credit card and we will mail you or the recipient the gift card. 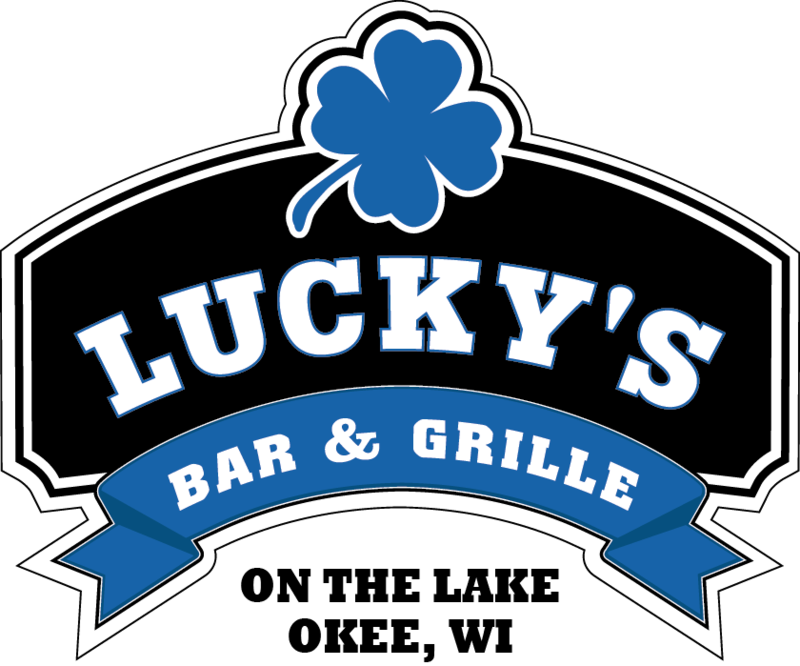 Want to have your party or event at Lucky’s on the Lake? Contact us at 608.592.5825! 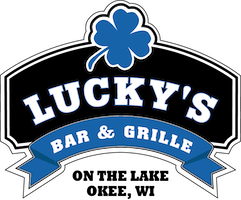 To apply for employment at Lucky’s on the Lake, please click here to download an Employment Application and email it to luckysonthelake@gmail.com.